Canada’s Schulich School of Business, which will soon launch a new MBA program in Hyderabad in collaboration with the GMR Group, has recently been ranked by Britain’s prestigious Economist magazine as having the world’s #1 EMBA program. Based in Toronto, Canada, the Kellogg-Schulich EMBA program finished ahead of EMBA programs offered by a number of the world’s top business schools, including UCLA, Oxford, Chicago and IMD. Schulich offers the EMBA program in partnership with the Kellogg School of Management at Northwestern University in Chicago, USA. According to The Economist, the Kellogg-Schulich EMBA was best in the world in a number of categories, including: program quality, facilities, program content and electives, networking and the extent to which the program has helped fulfill pre-EMBA goals. Schulich previously offered the Schulich MBA in India program in partnership with the SP Jain Institute of Management and Research (SPJIMR) in Mumbai. The Schulich MBA in India, which launched in January 2010, was the first MBA program to be delivered in India by a leading international business school. Three cohorts have so far graduated through the program. Known as Canada’s Global Business School™, the Schulich School of Business in Toronto is ranked among the world’s leading business schools by a number of global surveys, including The Economist, Forbes, Financial Times, Bloomberg Businessweek, Expansión (a Time Warner publication based in Mexico City) and The Aspen Institute (a Washington, DC-based leadership think tank). Schulich’s MBA program is ranked #1 in Canada by The Economist, Forbes, The Aspen Institute and Expansión. The Aspen Institute survey measures which schools are doing the best job of preparing future business leaders for the environmental, social and ethical complexities of modern-day business. Schulich is ranked #2 in the world in the Aspen Institute’s most recent global survey, and #1 in the world in its previous survey. The Kellogg-Schulich EMBA program is ranked #1 in the world by The Economist, #5 in the world by The Wall Street Journal (as part of the Kellogg global network of EMBA partner schools) and #1 in Canada and 27th in the world by the Financial Times of London. Global, innovative and diverse, Schulich offers business programs year-round at its state-of-the-art complex at York University; at its Miles S. Nadal Management Centre located in the heart of the Toronto’s financial district; and at a new campus in Hyderabad, India. Schulich also operates a number of satellite centres in Beijing and Shanghai, China; Mumbai, India; Seoul, South Korea; Mexico City, Mexico and Sao Paulo, Brazil. Schulich offers undergraduate, graduate and postgraduate business degrees that lead to rewarding careers in the private, public and nonprofit sectors, and has more than 24,000 alumni working in over 90 countries. The School pioneered Canada’s first International MBA (IMBA) and International BBA (iBBA) degrees, as well as North America’s first ever cross-border executive MBA degree, the Kellogg-Schulich Executive MBA. 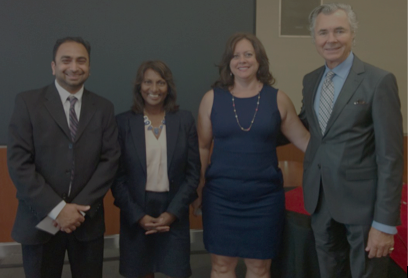 In addition to Schulich’s Master of Finance and Master of Accounting degrees, the School recently launched one of the world’s first Master of Science in Business Analytics degrees. Schulich’s Executive Education Centre provides executive development programs annually to more than 12,000 executives in Canada and abroad. 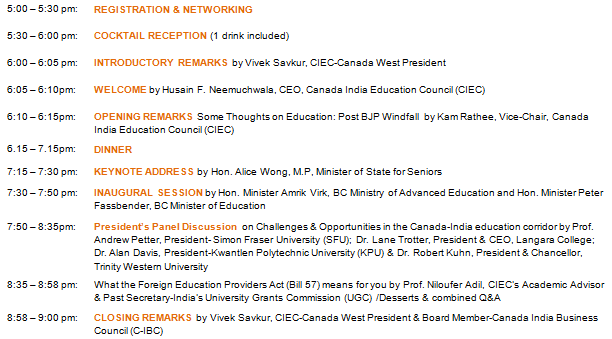 MUMBAI: Nine elite Canadian universities are coming to India from August 19th to August 31st, 2013 to meet with top Indian students and discuss Canada as a premier destination for higher education. The delegation is led by Robert Finlayson of Carleton University in Ottawa and Michelle Beaton of Ryerson University in Toronto. The tour, organized by the Canadian Higher Education Committee (CHEC), under the aegis of the Council of International Schools (CIS), is in its ninth year and will include stops in Mumbai, New Delhi, Dehradun, Hyderabad and Bangalore. Gujarat Technological University (GTU), established by the Government of Gujarat in India caters to the fields of engineering, pharmacy, and business studies (MBA programs), Computer Applications (MCA), and Architecture in Gujarat. 96 of the university’s students have reached Canada to study at Laurentian University for 6 weeks under the “International Experience Program.” International Experience Program (IEP) is specially designed by GTU under its “Centre for Global Business Studies” and “Centre for Technology Education, Public Policy and Universities of the 21st Century.” IEP has been designed to increase global connectivity among higher education institutions. It also gives an opportunity for the students to experience International Education. 51 students reached on 14th June 2013 and rest of 45 students reached on 16th June 2013 at LU. 21 students are from the pre-final year of Bachelor of Pharmacy and 75 students are from the pre-final year of Computer engineering /IT/ CSE/MCA. The Pharmacy students are studying Pharmacology III and Pharmaceutical Chemistry-X (Medicinal Chemistry). The Computer Science students of are covering Web Data Management and Wireless Communication & Mobile Programming at Laurentian University. An orientation and a reception were organized to welcome students and to brief them about the facilities at the campus. Dr. Vasu Appanna, Dean of the Faculty of Science and Engineering encouraged students to work hard, learn, and also to have fun by participating in various recreational and cultural activities on Thursday, 20th June, 2013. Students explored the city in a tour organized by Ms. Rachel Trudeau, Business Officer in the Dean’s office. They visited different places in Sudbury like Dynamic Earth, downtown, and New Sudbury Centre. GTU Students at LU are impressed with the educational experience and innovative teaching techniques. They are finding the teaching environment very friendly and interactive. They will be studying for 6 weeks at Laurentian University and credits will be given by GTU. The program was initiated in 2011, when 34 MBA students went to the University of Alberta, Canada. During the summer of 2012, 111 students had been to the Laurentian University, Canada for studies under IEP. GTU also offers such programs with Universities in the US and Germany. GTU also has a co-supervision of doctoral research work under which 114 professors from Europe, the US, and Canada work with professors and doctoral students of GTU. From November 2010 to July 2013, many leading academicians from Canada have visited India and have met students, professors, deans, and officers at GTU. 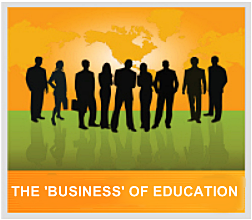 Academicians and economists have different views on the education sector as a business entity. Those who are involved in the specialized area of student recruitment clearly understand that education institutions have to adopt a new model. As importance is given to internationalization of education by relaxing student visa regulation, as service providers all academic institutions must redesign academic programs as per the need of the job market. When we look at the mushrooming of private academic institutions operating under affiliation with different Indian universities, a total disconnect between education and job market is foreseen. Rising unemployment in India and an increasing number of graduates with degrees in hand but bare minimum soft skills makes it difficult for the industry to provide employment. It is the responsibility of the student recruiter to provide basic information to aspiring prospective students who want to gain admission in Canadian Universities and Community Colleges. 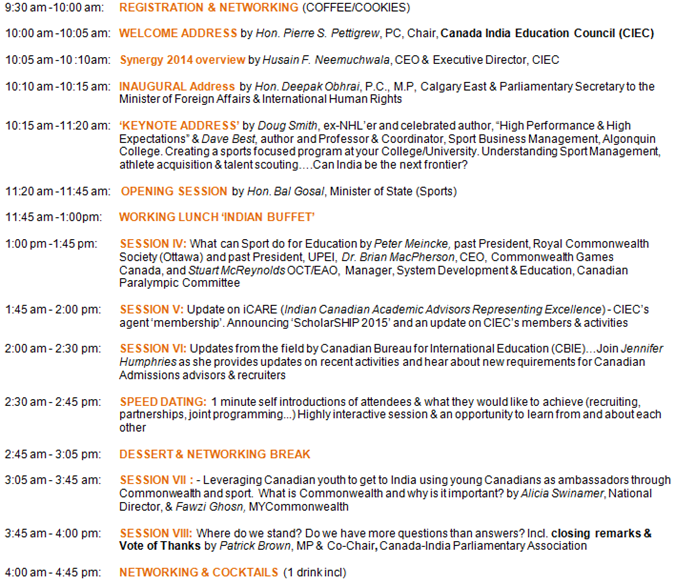 Education in Canada is structured and regularly monitored by the Ministry of Education and partners from the industry. The education providers constantly make changes in course curriculum as per the demand from industry experts. With updated course curriculum, Canadian Colleges and Universities provide not only the hard skills but the soft skills which make it easier for the candidate to secure a job within six months of graduation. Applicants from India should be briefed about the difference in education standards and they should be well-prepared to cope with the academic pressure in Canada. It has been noted the majority of Asian students struggle in first semester as they are not aware of policies regarding academic misconduct and many get involved with plagiarism. A proper understanding of APA and MLA style of writing should be given to the students who intend to enroll in Universities and Colleges. Many students assume that they can take on jobs while studying without understanding that employment is not always easy to get. A proper budget should be allocated for room and board and personal expenses so that students don’t have to indulge in antisocial activities. Canada is a friendly country and hosting international students is a matter of pride but this is not sustainable with the unemployment or underemployment rates of permanent, Canadian residents. In the past, legislation prevented international students from seeking employment; with new amendments, visiting students have been given more access to the job market. While international students contribute to the Canadian economy by paying fees and rent or buying commodities for daily use, people are concerned international students are taking jobs away from local residents. With few jobs available, this puts direct pressure on Canadian society and economy. Various employers provide work opportunities to students as they tend to save money by paying beneath minimum wages to jobseekers willing to take cash-paid jobs. Government resources take a direct hit when people apply for Employment Insurance or try to get welfare because they cannot find gainful employment. Adaptation and integration are core Canadian values, ensuring the country continues to welcome growing numbers of international students. Student recruiters and education providers do not want to see drastic changes in the student visa process which might yield negative results. If we look at the trends in the UK, it is clear the pressure from local residents pushed the government to impose restrictions on international students and work permit seekers. At the moment, Canada is following a system comparable to the Australian system. When we examine comparisons across students from China and India, we can see a shift in the policy and planning done by the Chinese parents. It is observed that more students are choosing Canada as a destination and many of them are attending high schools primarily in Ontario, British Columbia, and Quebec. Gaining university or college admission is easier coming from a Canadian high school because of the structure and partnerships between schools. Pathway programs help international students by providing them a direct access to admissions in prestigious universities. High school students are also exempt from IELTS and, once they complete their high school diploma in Canada, they are fully equipped with the necessary tools required for success in universities. Indian students should be briefed about the pathway programs and high schools so that they could take advantage of an early start in Canada. Diwakar Sharma is the Senior International Recruitment Officer (South East Asia & Middle East) for TAE International Institute. 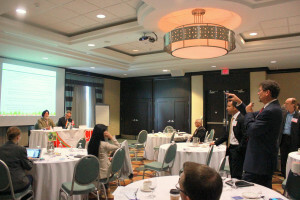 He is also a member of TESL-Ontario, AMIC-Singapore, and PRSI India. Canada has never been so popular with the Indian students as it stands now. It is all thanks to the great and impactful reforms done by the Government of Canada to make Canada an attractive destination for International Education of 21st century. A fact concreting is that in 2012, for the first time Canada welcomed a record number of international students. A first in history, international students in Canada crossed the number of 100,000. Students from India are very much interested to pursue their studies in some of the best countries of the world. There is no dearth of talent in India. USA and UK have always been old preferred destinations, but now Canada is slowly making its way to the list of most preferred destinations for the Indian students. Canadian institutions are fast gaining popularity with Indian students. Some of the Canadian universities had long been coming to India since the 90s and been engaging with students and educational institutions. Student exchange, faculty exchange and research collaborations have been part of it. With the passing time and globalization, more and more Canadian institutions have entered Indian market to search for the best and smartest talent. The engagement of Canadian polytechnics and community colleges is increasing with institution representatives doing recruitment events at various cities of India and entering into alliances with reputed and trusted educational agents. Institutions and education agents are working closely on a common goal of matching the students’ academic interest and their educational pursuits to programs available at the institutions. The quality of technical and professional education is very high in Canada. Strengthening the interest of Indian students is the low tuition fee structure of the institutions. Lower tuition fees and the high global ranking of Canadian universities are of much interest to Indian students seeing the growing cost of getting quality education in India. Another attractive aspect is the Cooperative Education which most of Indian students are not aware of. Co-op as a term is relatively new to students and at first instance students are not able to understand it. With more and more information coming into Indian market on Canadian education, the Canadian education system and terms are being familiarized but a lot needs to be done in this field. Most of the students choose their program unaware of co-op opportunities and realize that later on. Even the students who choose the co-op are not aware of the real value and benefit of a co-op. They end up not maintaining the required GPA or percentage that will entitle them to be placed into the co-op by the institution. With educational opportunities and systems differing from province to province in Canada, Indian students find it difficult to map their academic interest and choose an institution that can best cater to their needs. Official website like that of AUCC try to bridge this gap by providing comprehensive information on universities, programs offered and their contact details. Still the information is not reaching in that amount in which it should, primarily because of unawareness among Indian students. The university admission procedures, steps involved, international credential evaluation are highly complex and time consuming as compared to the admission systems of countries like Australia, UK and New Zealand which are fairly very simple and easy to understand. The entering admission requirements are also a bit high and some of good and genuine students are not successful in making to their university of choice because of it. With the presence of different central and state school boards and higher education institutions in India, a student’s academic score can vary and not present a true picture of his capability of successfully completing his intended program in Canada. This one aspect should be taken into consideration by the universities and institutes of Canada. Research opportunities are tremendous in Canada and with funding opportunities available to deserving students at every step; Indian students are now getting attracted to research master and doctorate degrees in Canada. Numerous choices of specializations and research areas available help Indian students choose the field that they may not have even thought of pursuing. It just does not stop here. The flexibility of Canadian institutions also allows student to come with a completely new field in which he may want to pursue research and the institution fully support the students with their research ideas and makes them available proper resources. I can say that a lot more is still to be traversed in promoting Canadian education among Indian students and making them understand every bit of it. It has to be a continuous and result oriented process. 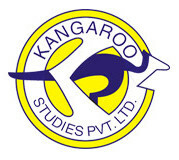 Avinav Sharma is the Country Head — Canada of Kangaroo Studies Private Limited, India. Mr. Anaroop Kerketta from the Industrial Design Centre (IDC) IIT Bombay won the third Indo-Canada Student Innovation Award for 2013. The short animation Inside My Mind was selected by the jury and the public from 15 finalists. The Consul General for Canada in Mumbai, Mr. Richard Bale presented award to Mr. Anaroop Kerketta during the Best Animation Film (BAF) Awards Ceremony at the FICCI Frames Conference 2013 in Mumbai. The winning short film can be viewed online. 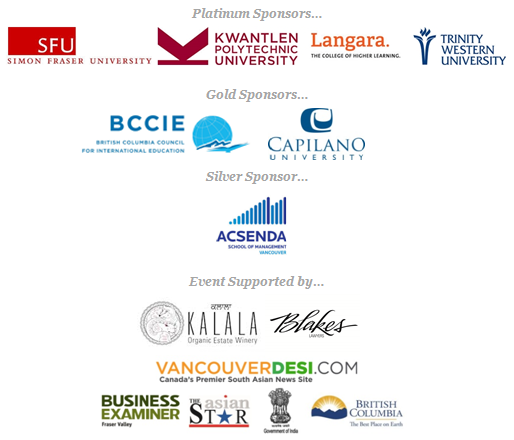 The Government of Canada and Seneca College of Applied Arts & Technology (Seneca) in Toronto, Canada in association with Mumbai’s Frameboxx Animation & Visual Effects are excited to have sponsored this award for the third edition of the Indo-Canada Student Innovation Award 2013 (ICSIA 2013). Seneca and Frameboxx will provide Mr. Kerketta with a one-week training session in animation and visual effects at Seneca, a return economy class ticket from Mumbai to Toronto, as well as accommodation and living expenses for the week. Each year this competition provides an opportunity to Indian students to showcase their artistic creativity, animation technique and innovation. The jury consisted of Mark Jones from Toronto’s Seneca College, Steve Kahwati from Toronto’s 728 Digital Pictures, Munjal Shroff from Mumbai’s Graphiti Multimedia, Kireet Khurana from Mumbai’s Climb Media, and Richard Bale Consul General for Canada in Mumbai. The winner was selected based on a combination of technical marks from the jury and votes from the general public at the online poll portal. A group of 19 MBA students from Université Laval – located in Québec City in Canada, a city recognised by UNESCO as a World Heritage Site – were on a study tour to India. 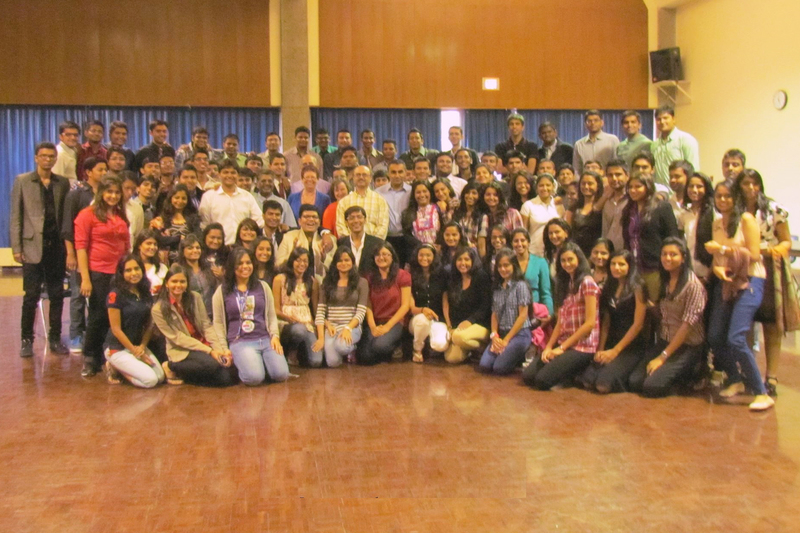 This is the fourth time in five years that a team from the university came to India. Given their success in the previous years, the university decided to come back again this year. The students travelled to different cities in India mainly to meet companies and promote their products and services and perfect their knowledge of India. The Canadian students represented 19 different companies in varied sectors like education, foods, manufacturing, IT, entertainment, beverages, etc. How would the knowledge be useful to the group and the companies they represent? GM: This experience is something that no classroom can teach you; after doing in-depth research before coming here and then meeting with your contacts on the field makes us realise the fruit of our labour, which is most certainly rewarding. I believe that all students should take part in a trade mission like ours, as the experience shows you how small the world really is, and how accessible international markets are. International trade is important to both Canada and India. All the resources offered, in Canada and on the field here in India, were extremely useful for my future career of working in international business development as they were for all students involved in the study tour. What was the methodology behind the study tour? GM: Université Laval acts as a non-profit organisation that offers Canadian companies the opportunity to develop their international market. Our team is young, dynamic and benefits from accumulated knowledge of our 16 years of existence. Over 400 companies such as Bombardier, Maison Simons, Philips Lumec, etc. have already used our services. Our agents not only receive training from field experts but also work year-long to perfect their knowledge about the country abroad, its culture, economy, politics and language(s). Before getting into a trade mission like this, they do a market study to be sure about the best way to penetrate that particular market. It is a good opportunity for companies that desire to penetrate new markets and obtain professional, personalised service at an exceptionally competitive price. The University of Laval Commercial Missions is here to facilitate a period of transition to these new markets. From market potential evaluation to importation and exportation logistics, possible entry modes, technical representation as well as searching for distributors and clients, development agents, or the MBA students this time, worked three weeks in India to reach all goals of Canadian enterprise. Companies wanting to participate in our trade missions pay an amount which covers only cost for mission such as hotel, per diem and transport. Would the products be marketed focusing on the Indian market? GM: I think the business opportunity in India is immense but foreign companies must be very careful while entering this market. Though marketing is an important process in selling most products, the cultural challenges and political barriers are numerous. Obtaining permits can take long, finding the right distributor can be difficult and finding the right logistic strategy to make it all work is the key. Marketing will come once you have everything else in place, and if you have done all other things correctly, the publicity and advertisement will find results by itself with minimal effort. Did your group’s impression about India change? GM: It’s my second time in India and every time I discover a wonderful country with people wanting to learn more about us and teach a lot about their culture. It’s amazing. We thought India is a misinterpreted country: the advances that have been made, the technology available is impressive and the stereotype of ‘poor India’ is misleading. Businesses, especially small and medium enterprises (SMEs) all across the country, offer a wide range of high-quality products and services, and I think many people confuse lower production prices to lower quality. When you look at a giant like Tata, and all of the industries they are able to thrive in, it gives you a great example of the wide range of available knowledge, and its influence on the global scale. CC: It is the largest graduate school in Canada with 650 full-time and 450 part-time students. We offer 19 different specialisations. We are very flexible and students can opt for a bouquet of subjects. They can take classes for different subjects during the day or evening or the weekends. It is a program that suits your goal. The syllabus is same for the first year while in the second year, students can take up to two specialisations, for e.g. finance along with financial engineering or financial services or arts and media administration. The course can be completed in 16 months going straight through or in two years (latter includes a break for a three-month internship). The average age of our students is 28-29 years and their average work experience is five-six years. The acceptable range of GMAT scores is from 600 to 700+ but the average is 670. The female students’ population is 39% currently but we are working on increasing it. We are very innovative and have a number of firsts like – specialised programs in entrepreneurial studies, MBA/JD (Juris Doctor) for lawyers, arts and media administration, nonprofit management, business sustainability, business ethics, real estate and infrastructure, health industry and public sector management. We launched a global mining management program in November 2011. We will officially open the school’s new Centre for Global Enterprise focused on the globalisation of small-to-medium-sized enterprises, soon. We have 75 partnerships with leading business management schools globally and more than 23,000 alumni living and working in over 90 countries. What are the programs and specializations offered? CC: Bachelor of business administration (BBA), international BBA(iBBA), master of business administration (MBA), international MBA, executive MBA, MBA/JD, master of fine arts, master of arts (MFA/MBA), MBA in India, master of public administration, master of finance (MF), and the PhD. Specialisations include the standard functional areas as well as many corporate sector areas accounting, economics, finance, marketing, operations management and information systems, organisation studies, strategic management. There is post-MBA diploma in advanced management, financial engineering diploma designed for those MBA grads who want to return for additional specializations and executive programs. Are international tie-ups the new buzz word for universities in the West? CC: Our school has a global orientation. Dean Dezso Horvath, a visionary, has led the school for 23 years and has always felt this was the direction to take the school. This global ethos is apparent in our programming and planning. We have several satellite centres internationally besides the main $100million facility in Toronto. We are running our India program with twinning partner SP Jain institute of management research in Mumbai and the third batch has started this January. It is good to see the program grow from an idea to reality. The students study in India for six months and in Toronto for the remaining duration. Seven years ago, we started hunting for places abroad and when it came to opening a campus in Asia, we chose India due to the growing middle-class population here, the limited availability and the high demand of top-level business schools, English being the language of instruction in most educational institutes and its use in official communication. GMR has offered to build us a campus near Hyderabad airport and will finish constructing it by 2013. We are hopeful that the government allows foreign universities to operate as standalone institutions by then. 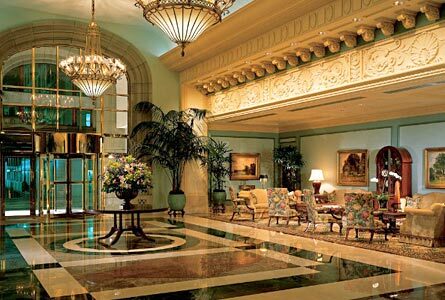 We will take our first class there for September 2013. The long term goal is to have as diverse a campus with students from several countries and tuition fees would be on the lines of that in the Toronto campus. What are the part-time and full-time job opportunities for international students? CC: There are several part-time jobs available on campus and in Canada. Students have to work on-campus for six months and can work off-campus after that for 20 hours per week. They can work as research or library assistant, parking attendant etc. on campus. There are internship opportunities for three-months during the program between first and second year, when they work full-time off campus. The average salary, post-MBA from Schulich, is CAD85,000 per annum in 2011. We have over 300 corporate and internship partners. Toronto, being the financial capital of Canada, salaries are higher there. Moreover, we make students work on a mandatory strategy field study in their second year. They have to thoroughly study real companies, what areas they need to focus on to improve efficiency and net profits. Students give evidence for every conclusion they derive. 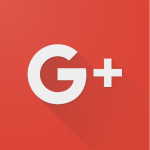 Companies have been implementing those suggestions. This gives our students an edge and confidence to enter the corporate world. Canada is very open to educated people and gives work permits up to three-years, after which, students can apply for permanent residency, if they wish to continue living in the country. Tell us more about the different rankings. CC: We are among the top B-schools in the world. We have been ranked No. 2 in the Apen Institutes Grey Pinstripes for corporate social responsibility and business and sustainability, No. 9 globally in The Economist ranking and No. 11 globally in the Financial Times of London Executive MBA ranking. Schulich is second among Canadian schools in the 2011 global MBA ranking of Financial Times (FT). The FT MBA ranking pulls down all Canadian b-schools because of the importance they give to the salary of students at graduation. What are the financial aids, scholarships and grants available to the students applying to study at Schulich? CC: The tuition fee is CAD30,000 per annum. There are several entrance scholarships ranging from CAD5,000-CAD20,000. Only the top 20% of the class get them. Students have to meet the eligibility criteria and give interviews before getting the scholarships. There are many bursaries available too. How is the student life and diversity at your campus? CC: We are Canada’s global B-school with 55% international students coming from around the globe and with work experience in all sectors. A class comprises lawyers, doctors, business graduates, engineers and even those with an arts background. 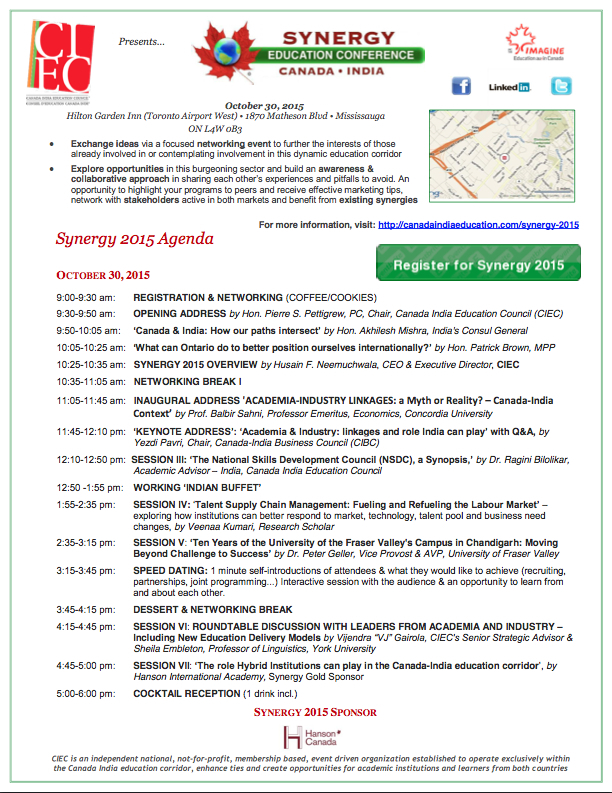 There are 52 clubs on the Schulich campus apart from several more at York University. York is the third largest university in Canada with 55,000 students. Our faculty is one of the best in the world and come from different countries. In student services and international relations, there are many professionals on teams working under me to help students with different needs – from admissions through to graduation. Likewise, we have a very large career development centre with programming that starts at the beginning of the program and carries through till placement. In most parts of the world, English is the standard language of business but it is not the only one in an increasingly global business environment, as more B-schools abroad are recognising. MBA programmes abroad have realised the importance of not just traditionally popular languages like French or Spanish but also newer ones like Arabic, Hindi, and Mandarin. Columbia Business School’s Chazen Institute offers several programmes to enhance students’ language proficiency including MBA exchange, global immersion programme and the Chazen language programme, offering courses in Arabic, business English, Chinese, French, German, Hindi, Japanese, Portuguese and Spanish at the beginner, intermediate and advanced levels. At Cambridge Judge Business School in UK, one of the electives/ projects in the MBA requires students to learn Mandarin. According to Laura Wood, director of international programmes and services, Rotman School of Management, University of Toronto, Canada, exchange programmes play an important part in learning different languages and cultures. “With an already global student body from 32 countries speaking 37 languages, Rotman encourages all students to further internationalise their degree through international exchange programmes, study tours, a module on doing business internationally and consulting projects or internships. Participation in these programmes certainly provides students with the opportunity to practice foreign language skills, contributing to both their personal and professional development as well as the B-school’s linguistic and cultural diversity,” says Wood.